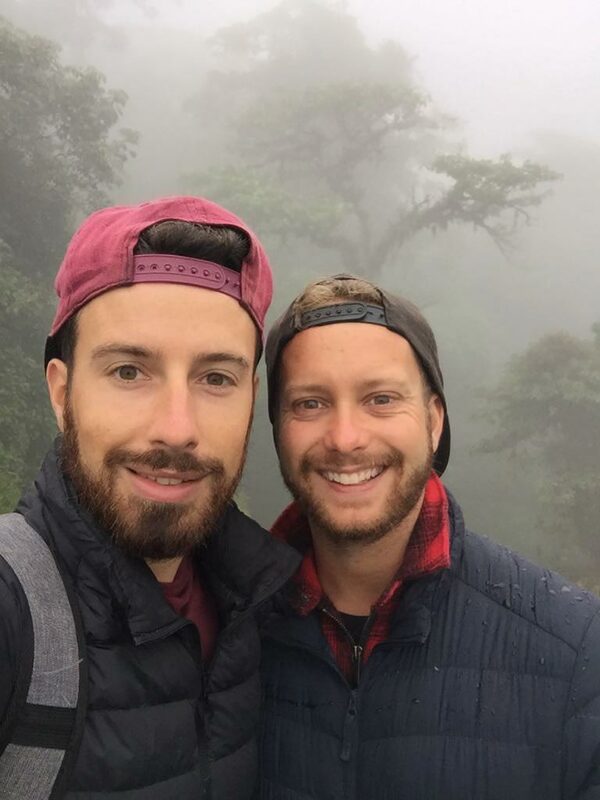 This is a guest post by gay travel bloggers Sion and Ben of The Globetrotter Guys. Sion and Ben are a married couple from the UK. 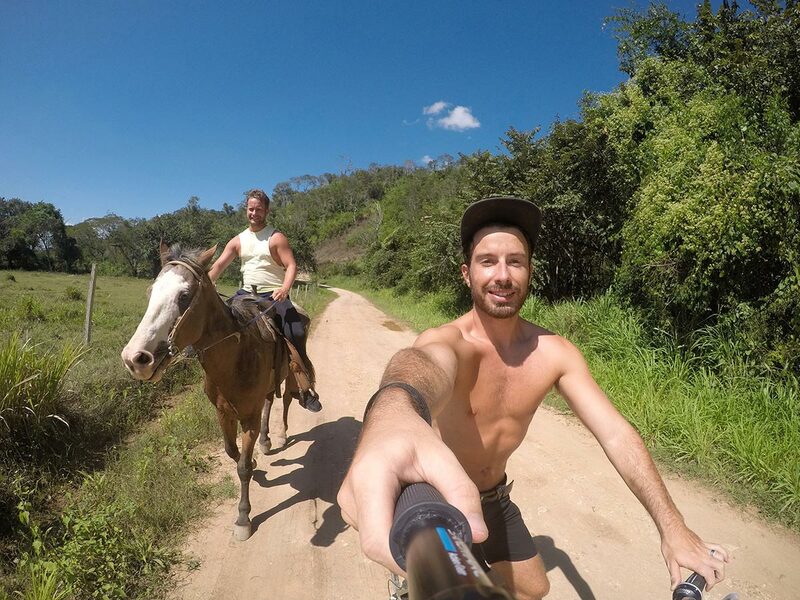 In January 2018 they booked a one-way flight to go long term travelling and never looked back. They have recently travelled through Central America and fell in love with Costa Rica. Find out why below! When we first started planning our trip to Central America, the country that we were most excited to travel to was Costa Rica. Whilst we didn’t know much about the rest of Central America, we had heard nothing but incredible things about Costa Rica and were extremely excited to experience it for ourselves! What we knew before we arrived had us eagerly looking forward to it (I mean we were both super excited to see a sloth! ), but Costa Rica still exceeded our expectations in every possible way! In no particular order, here are our top 5 reasons why Costa Rica should be your next bucket list destination. It may well be the best adventure you ever have! Costa Rica has the highest range of biodiversity worldwide. Despite being a small country in terms of landmass, there are still thousands of animal and plant species found here that you won’t find anywhere else. 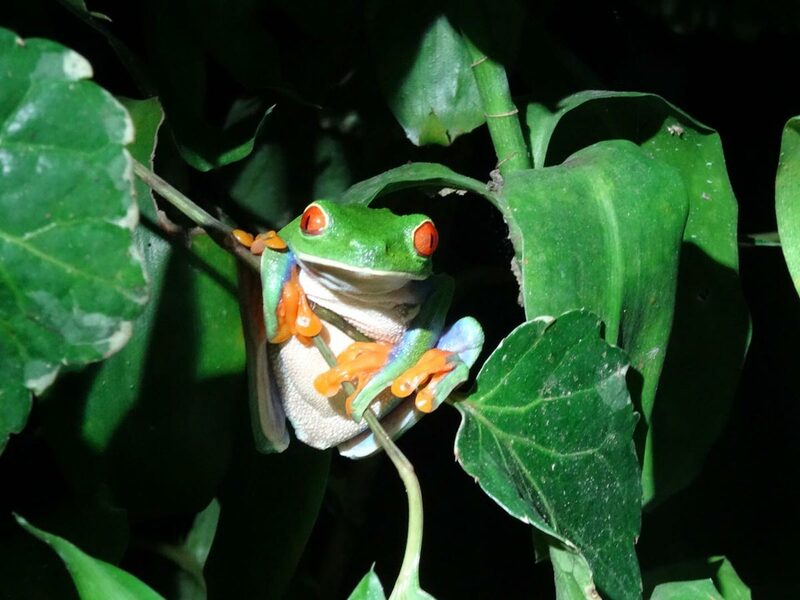 In a variety of locations around the country such as Arenal, Monteverde and Manuel Antonio you can take part in different day and night tours to go wildlife spotting. Certain animals are much more active at night, such as sloths, the various species of frogs, tarantulas, scorpions (yes, it is scary but totally worth it!) so it is highly recommended to do a night tour. The guides are extremely talented at spotting things you wouldn’t see otherwise, so these tours are a great addition to your trip. Most of the escorted tours will have an optional add on of a day or night walking tour. If you don’t fancy a guided walking tour, then there are plenty of opportunities to spot wildlife independently. For example, we spent an afternoon in Manuel Antonio National Park walking round on our own. 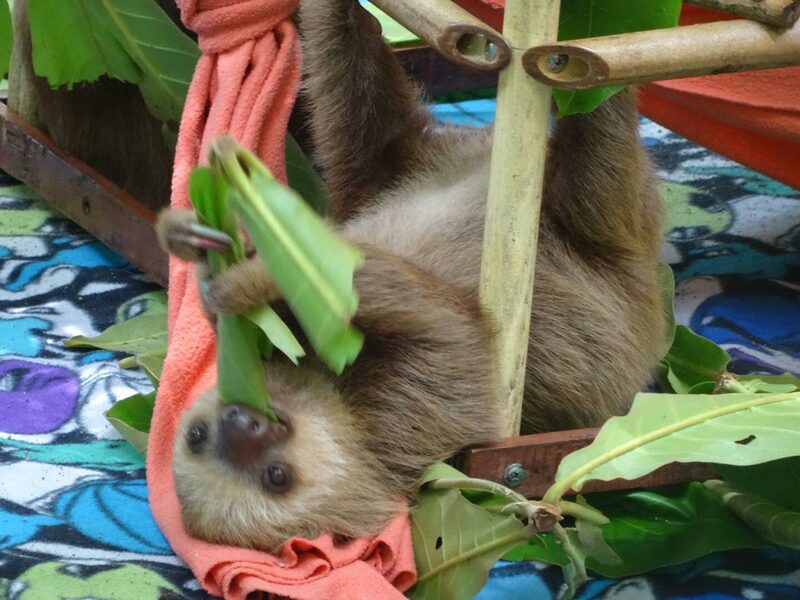 Despite this being during the day, we were still lucky enough to spot 3 sloths – you just need to have a keen eye! And there were plenty of monkeys and raccoons running around to keep us entertained. What also really stood out to us was how proud the locals are of the wildlife, and how much of a need they feel to protect the nature. The beaches and jungle areas are some of the cleanest we found throughout Central America. There are a number of sanctuaries around the country dedicated to protecting the endangered species, like the sloths and some of the jungle cats. And we were really touched when a couple of local men found an abandoned baby porcupine and immediately took him to the local rescue centre! Costa Rica really does offer some of the coolest wildlife that you won’t find anywhere else. Obviously, the country is renowned for the sloths, so it’s on everyone’s bucket list. But when you are actually standing there, face to face with the country’s most iconic animal, it really is an amazing experience! Costa Rica has a reputation for being an adventure activity hot spot, which is something that we are particularly keen on. Even so, we were still surprised by just how much there is on offer when you get there! Treetop canopy walks – night or day! In particular, the town of La Fortuna situated just off the Arenal volcano is the most popular place to take part in most of these activities, but quad-biking, ziplining and the treetop walks can also be found in Monteverde, another location renowned for its cloud forest and jungle environment. If that list doesn’t satisfy your inner adrenaline junkie, we don’t know what will! Costa Rica has a great location within Central America in that it has both a Pacific and a Caribbean coast. The most unique thing about Costa Rica’s beaches, is that you get to experience ‘beach meets jungle’. You can be walking through the canopies in Manuel Antonio National Park on the Pacific side, checking out sloths, and all of a sudden be on a golden beach topping up your tan. The Caribbean coasts offers everything from your typical white sand beach to the darker black sand beaches of Puerto Viejo. Here the coast is a bit wilder than your stereotypical Caribbean beaches perfectly lending itself to surfing and other water sports. The beaches are still wide and flat, perfect for chilling in a hammock or sunbathing. The vibe here is typically Caribbean, very laid-back, relaxed and Bohemian. No matter where you are in the country, you are only ever a few hours away from your next beach escape. The beauty of Costa Rica’s biodiversity is not only seen in the wildlife, but the stunning landscapes themselves. The cloud forest – so called because you are so high up that you are surrounded by the clouds themselves. This is where most of the treetop canopy walks are found, as it’s quite an unusual experience walking looking down on the forest and wildlife with clouds floating around you! Tip for this – dress warm and waterproof as on the ground it could be pleasant but its cold and damp amongst the clouds! 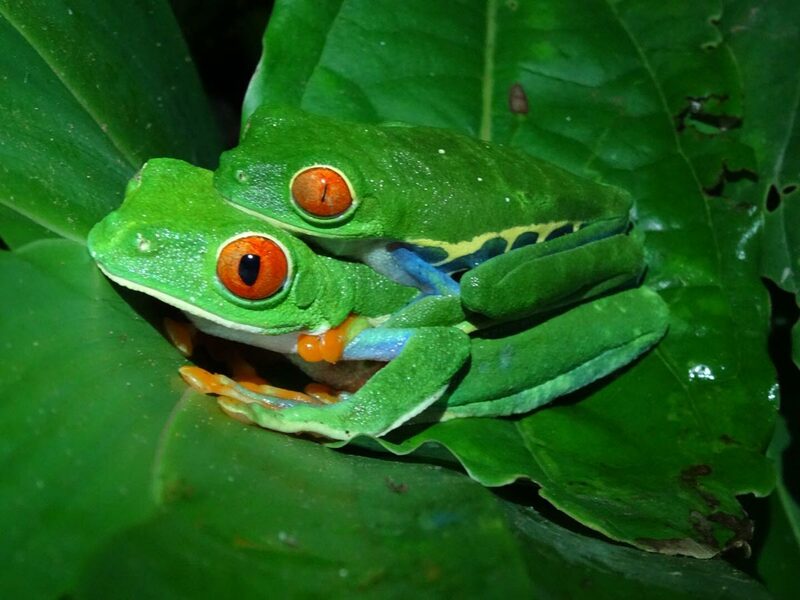 Monteverde is the most popular cloud forest found in Costa Rica. The rainforest – you guessed it, known because of the high levels of precipitation resulting in thick, lush, green jungle. These areas are where you will find the biggest range of plant and wildlife species, and so are definitely worth including on your itinerary. The most common rainforest to visit is Manuel Antonio National Park, on the Southern Pacific coast. The tropical dry forest. These are found on the Northern Pacific coast, an area that receives much less rain. As a result, the forests are not quite as diverse as their wetter counterparts, but still offer an abundance of different plant and wildlife species and the added bonus of some heat! It’s such a unique experience being able to visit such a range of climates, landscapes and different forest types all within one relatively small country. There really isn’t a place like Costa Rica in terms of bio-diversity! What struck us as particularly amazing about Costa Rica was that within a small space of time you could have such a variety of experiences. It’s a relatively small country, meaning that travel time between the various areas really isn’t that long. There are shuttle services serving all of the main tourist destinations; alternatively, you could book something organised upfront. This means that even if you only have between 7-10 days, you can easily include beach time, national parks and time in the jungle too. As seen from our top 5 reasons, Costa Rica really does offer a variety of experiences to suit everybody. Whether you are a beach bum, an activity enthusiast or an animal lover, or even a bit of everything, Costa Rica really does have it all. So, when making that bucket list for your next holiday, make sure that coming face to face with a sloth, sunbathing on Puerto Viejos beach or flying through the treetops on a zipline is top of your list! For more inspiration and to book, take a look here. You can also follow our adventures on our website, Instagram and Facebook!